A worksheet to encourage story writing as a class/group activity. It can also be used as a speaking exercise for story-telling. 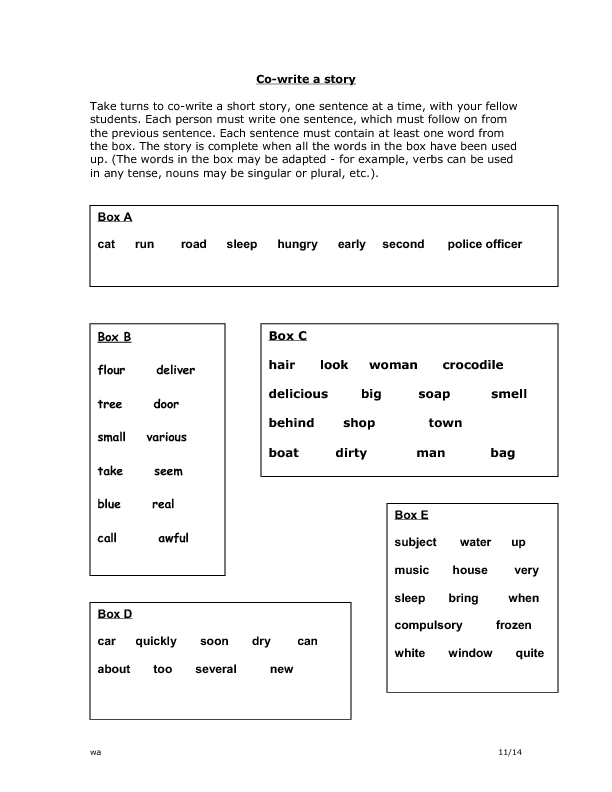 Each box contains a set of vocabulary and students must create a story, one sentence each at a time, and each sentence must contain one of the words from the box. 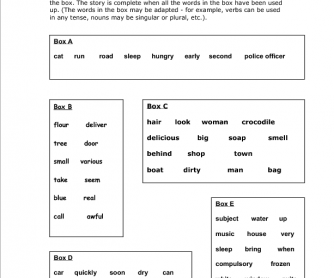 You can easily adapt this idea for any level of student, children or adults, and of course make up your own ' boxes' of words depending on which topic you are covering.